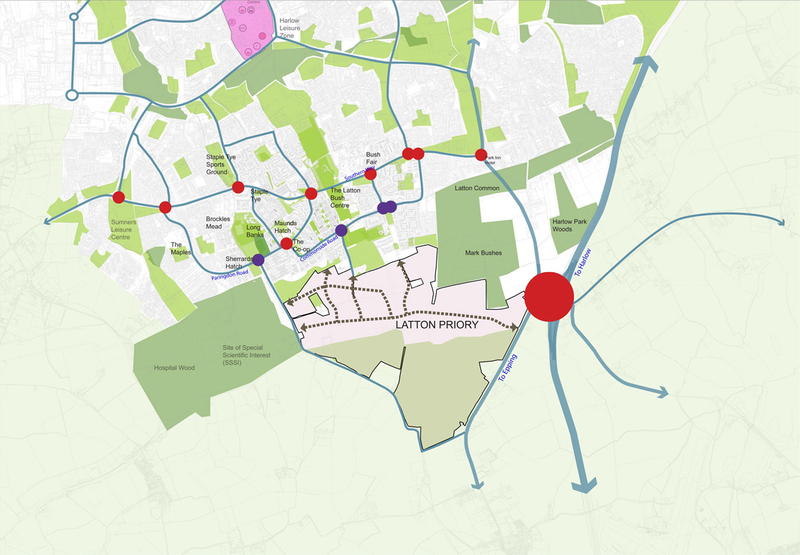 The developers will make a significant contribution to junction 7 improvements and support access to the junction 7A on the M11. 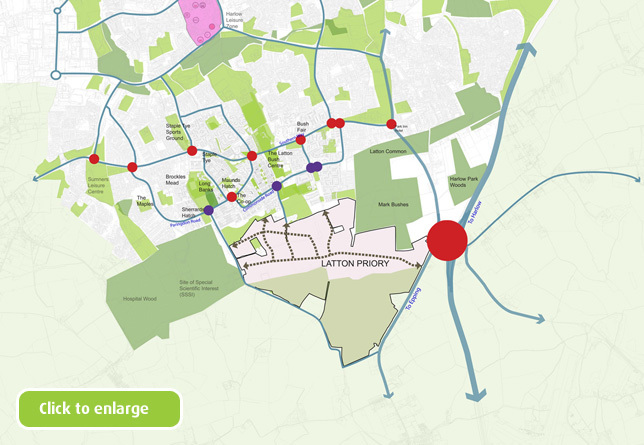 The diagram shows that nine junctions, mostly along Southern Way, Paringdon Road and Junction 7 will need to be improved to effectively manage traffic flows. We would also work with the highways authorities to identify improvements at other junctions, such as the Rye Hill Road/Paringdon Road.